After two or three hundred hours in Skyrim, things start to simmer down. The game has taken over your waking life, and little snippets of dialogue and lore float into your mind when trying to do other things. You identify a little too much with that Onion article. Playing Skyrim itself is no help—the NPCs are content with their cold sad lives, the enemies and loot are unchanging, and the remaining quests in your journal are radiant or glitched. You’ve tried starting a new file to rekindle your interest, but it wasn’t enough. Your love and immersion for the game and its world was sadly bigger than the game. Is the answer grief counseling? Learning to move on? Buying Elder Scrolls Online? No! The answer is moving backwards in the series. 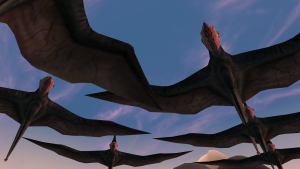 It might be daunting—searching “Oblivion” and “Morrowind” in Google Images and scrolling through the results can lead to some understandable grumbling. It’s not as pretty…nothing’s going to fill the hole Skyrim carved into my heart. The good news is, they will! While Skyrim is its own thing, it’s also just one tendril of the bigger unit that is The Elder Scrolls. With only five games over seventeen years, every game is significantly different from one another and worthy of recognition on its own terms—The Elder Scrolls isn’t like some other series of video games where each year’s new game effectively replaces the game before it. 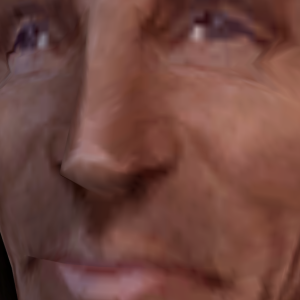 If you’re like me, you’ll find out all the things you liked about Skyrim were actually things you like about The Elder Scrolls, and you’ll stop seeing Skyrim as the cream of the crop and instead one-fifth of the cream of the crop. Even so, I won’t deny the earlier games are hard to get into at first. By writing a starting guide, I hope to remove some early-game confusion and inspire some motivation on why these games are worth playing in the first place. I won’t go over any quests or tell you how to play the game, but I’ll try to give the kind of helpful overview I would’ve wanted as a new player. If Skyrim is gloomy and Oblivion is generic, Morrowind is weird. Morrowind’s 2002 graphics and complex game mechanics can be a turn off after playing Skyrim, but there’s a reason why a lot of people (like meeee) consider it the best in the series. Nostalgia has nothing to do with it, me being proof of that (Skyrim was my first). The newer games obviously have the benefit of better graphics, more voice acting, easier learning curves and new features, yet Morrowind’s still had a singular appeal the new games haven’t replicated. 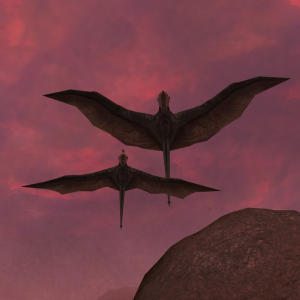 After you conquer the learning curve, Morrowind has a surprising amount of freedom. The game never tells you’re not supposed to be doing something. If you have the stats to do it (or enough potions to do it), you can make and cast any spell in the game from the minute you get out of the tutorial area (unlike Oblivion and Skyrim, where the game determines what spells you’re allowed to have based on your level). You can kill anyone related to the plot, and instead of huffing and puffing on the ground, they actually die (you’ll get a message suggesting you load a save, but you’re not forced to). Many spells let you explore the game’s world in ways the later games wouldn’t, particularly with Levitate. You can even stack Fortify Intelligence potions repeatedly to create extremely overpowered effects. It’s cheating by anyone’s standards, but it’s also testament to the freedom you’re given in the game to use/abuse the system however you see fit, with no message prompt coming up telling you no. The writing and setting is difficult to explain quickly like Oblivion (“Tolkienesque”) or Skyrim (“sad Vikings”). The closest comparison I can make is first-century Middle East (complete with Romans), but with all the wizards, elves, floating moons, and physical gods warring with each other, the comparison can only go so far. Vvardenfell (the island Morrowind takes place in) is filled with different cultures of people with elaborate histories, politics, religions, and philosophies. The infodumps about the game’s lore can be safely ignored if you want, but I recommend paying attention, because it’s some of the most elaborate and unique world-building I’ve seen in a video game (or any fantasy, although I’m not well-read in fantasy). Even though the worldbuilding can be ignored, it’s by no means throwaway details for the obsessives—there’s an attention to worldbuilding in every aspect of the game’s world, down to the architectural design of every region that reflect its character and culture. There are almost no real-life (or Tolkienesque) enemies—nearly every enemy is an original creation. There are enormous cities and structures that in any other video game would look like the background areas you can ogle at but not actually explore (like all the giant cities in Mass Effect). Seeing the size of the city Vivec, the Ald’ruhn Manor District, and Mournhold (part of the Tribunal DLC) for the first time were magical experiences and worth seeking out if you want to quickly tour the impressive parts of the game. Personality — pretty useless, like in all RPGs. It’s better to use Charm spells or Speechcraft and not worry about raising this. Luck — slightly helps the chance of success of everything you do (it’s like adding a number to every die roll). Having a really high Luck actually makes the game noticeably easier, but almost no one does it. Morrowind has no magic regeneration (or health regeneration! ), so it’s not like Skyrim where you can use magic the whole battle and run in a circle while you wait for the blue and red bars to refill. You can play Morrowind with a full mage build, but you will have to pour everything in Intelligence and Willpower, and even then it will be a good idea to stock up on potions, scrolls, and enchanted weapons/staffs, because you can only rest when there are no hostile enemies left in your area. Spells are one of the best aspects of Morrowind’s gameplay. There’s more than anyone needs, but there are handy creative uses for many of them. Lock is a good example of a spell with no immediate apparent use, but then you realize you can lock any door in the game for 1pt and stop any hostile creatures from coming through. Slowfall is another spell that Skyrim and Oblivion players won’t recognize, but it has a nice side-effect its name wouldn’t give away—a 1pt Slowfall spell will cause you to not take any fall damage for almost no magicka. If you’re getting bored mashing the jump button while walking at an angle trying to get over hills, cast a low-level short-duration levitation spell to easily clear the steepest hills. Command Humanoid is another odd-sounding Morrowind-unique spell. Again, it’s not immediately apparent how making friendly NPCs follow you around is useful—until you realize you can move NPCs out of view so you can steal their stuff without them seeing. Many of the spells are like this—you question why there are so many and when someone would even use them all, until you find a new use yourself. Morrowind’s spell menu lists the spell cost and chance of success, which is misleadingly shown as a fraction. Instead of thinking of it this way, just remember the number on the left is how much magicka the spell will use up, and the number on the right is the percentage of success. A spell with 5/100 next to it will cost 5pts and will cast every time, while a spell with 24/50 will take 24pts and work half the time. If a spell has a low (or zero) chance of casting, you will need to fortify your willpower or train that skill so you can cast it more reliably. You can buy spells in Morrowind like in the later games, but spellmaking makes things much more customizable. For example, if you find yourself using the same three defensive or conjuration spells at the start of every fight, you can make a spell with all three of those effects to save some time. 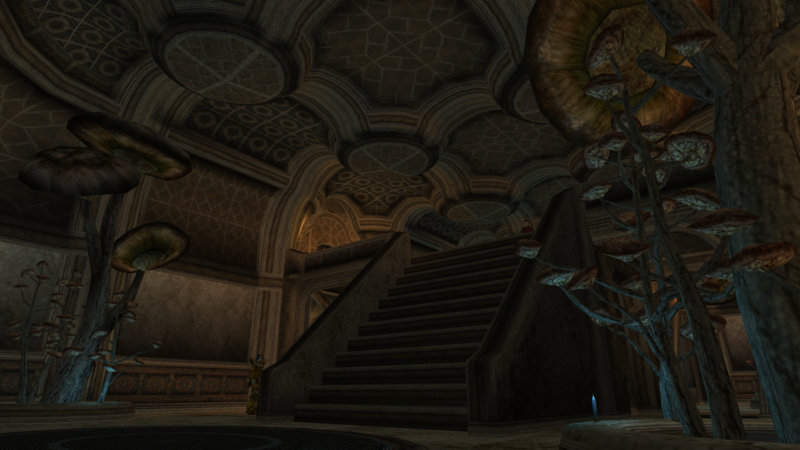 Enchanting is also a very powerful tool in Morrowind, for weapons and armor alike. Morrowind has significantly more pieces of armor and clothes than the later games, and in turn, much more opportunity for loading up on enchantments. Absorb Health is by far the best offensive spell. For whatever reason it costs less than the normal destruction spells (like fire)—and heals you to boot. When you finish making your character, save. For some damn reason the game doesn’t do this automatically when finishing character creation, something many players don’t find out until dying at their first encounter with the worm thing. Daggerfall had silly combat controls where you had to swipe the mouse to attack, the direction of the swipe determining whether the attack was a chop, slash, or thrust, with different efficiencies based on the weapon (you wouldn’t want to thrust with a hammer, while you would with a spear, etc.). Morrowind kept this mechanic for some reason, but they provided an escape: Options, Preferences, Always Use Best Attack. This will always use the most efficient attack of the three regardless of your character movement. Get a scroll, potion, or an enchanted item with the effect of Divine Intervention or Almsivi Intervention as a backup if you’re ever about to die (but don’t want to load a save and lose your progress). Join the Mages Guild. Members have access to the “Guild Guides” which teleport you between every Mages Guild in the game, which is very handy to get around the overworld quickly. Do the main quest! Let alone being well-written, it’s meant to be the first thing you do, and it quickly gives you a lot of gold and strong items that make everything easier. Morrowind’s main quest doesn’t have any punishments like Skyrim’s dragons or Oblivion’s Oblivion Gates, so there’s no downside to starting it right away. There’s a house in Balmora (the closest main city to the start point—basically Morrowind’s Whiterun equivalent) named “Hlaalo Manor”. You have to break a lock to get inside (with lockpicks or an Open spell), but once you do, you’ll see a body on the ground that conveniently never disappears, and acts as a container where you can store an infinite amount of items. It’s dark but helpful, and makes a great base. In all my Morrowind playthroughs I left a Mark spell by the body to return to every time my inventory was full. There’s no fast travel, quest markers, voice acting (beyond basic greetings and taunts), perks, dual-wielding, smithing, marriage, face creation, horses, shouts, dragons (thank God), long-term followers, dragging/moving items, or godawful snake/eagle/whale puzzles. While there’s no fast travel, it’s made up for. Major cities have “silt striders” (that look like Half-Life 2 striders) that can take you from city to city. Port cities have ships that do the same. Mages Guilds let members teleport between all their locations. You can use a Mark spell anywhere in the game, that you can teleport back to by using a Recall spell. There are two more teleport spells, Almsivi Intervention and Divine Intervention which one-way teleport you to the nearest temple or Imperial fort (respectively) where you can heal. Unlike Skyrim’s fast travel, you can use these spells in the middle of combat on the brink of death, and it can be a handy way to get out of a dungeon there’s no way you’re going to beat. 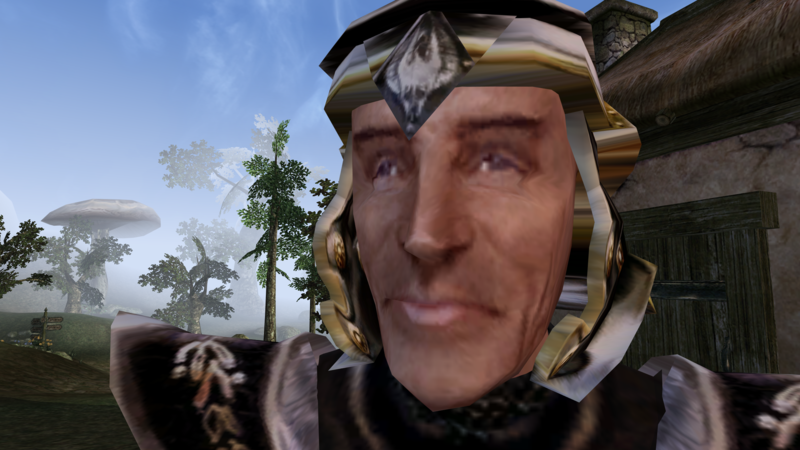 Morrowind has many more joinable factions than the other games, and you can join most of them simultaneously, with the exception of the Great Houses. Of the three Great Houses (Hlaalu, Redoran, and Telvanni), you’re only supposed to join one per file. Thankfully a glitch allows you to join House Hlaalu when you’re already a member of one of the other ones, so don’t join Hlaalu first (join it second!). Redoran’s more traditional and warrior-centric, while Telvanni is filled with eccentric immoral wizards. Your call! It’s worth making a second file to play all of them. Morrowind has two excellent DLCs (Bloodmoon and Tribunal), but they’re meant to be played after you’ve beat the main quest and are decently leveled up, since they can be grueling in a new file. You might want to disable Tribunal at the beginning of your file, since it introduces powerful enemies that attack you after resting that are very difficult to take down early on. Stolen items aren’t marked as stolen and can be sold to anyone—as long as they aren’t the person you stole it from. If you try to sell it back to them, they’ll attack you. Other than that though, with no fences, selling stolen goods is much easier in Morrowind than in later games. In Morrowind (and Oblivion), armor and weapons have condition. If you’ve been fighting for a long amount of time and notice the enemies seem to be getting stronger, it might be because your weapons and armor need to be repaired (either with repair hammers, or paying armorers). If you have enough carry weight, it’s smart going into long dungeons and quests with backup weapons and armor in case you takes too much damage. If you like beast races, keep in mind they cannot wear boots and most helmets in Morrowind. 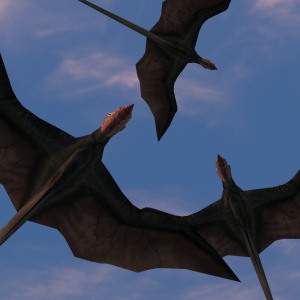 However, Argonians are immune to poison, and highly resistant against common diseases, which makes a decent trade-off. Khajiits don’t have any tradeoffs though…unless you just like Khajiits. I recommend checking out OpenMW, a rewrite of the Morrowind engine made by fans—although maybe not for your main playthrough. 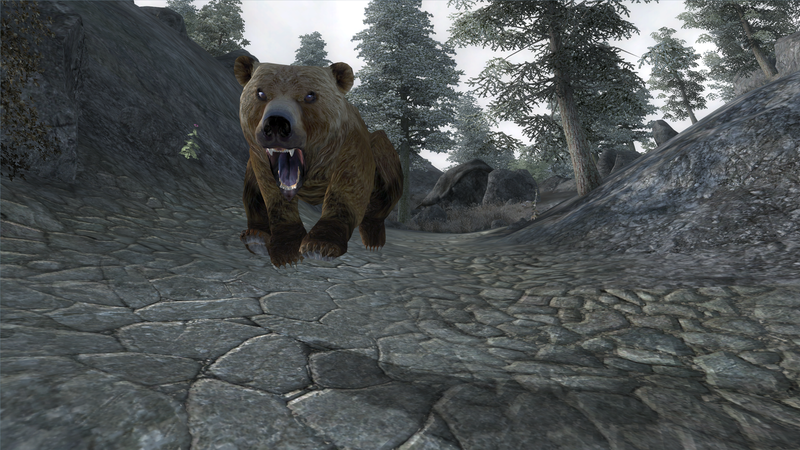 Among other things it lets you run Morrowind in full HD and on all major operating systems. It might have some minor glitches—I played around it for a few hours and didn’t notice anything strange, but there might some little things you notice after putting some time into it. Yet, I love Oblivion. It is wholly redeemed through its dorky charm. The game has full voice acting and thousands of recorded lines, almost all shared between the same nine voice actors (not counting Patrick Stewart, Sean Bean, Lynda Carter, and Terence Stamp). The voice acting isn’t amazing to say the least. Lynda Carter (who I support forever as being one of the five or so famous Arizonans, go team!) 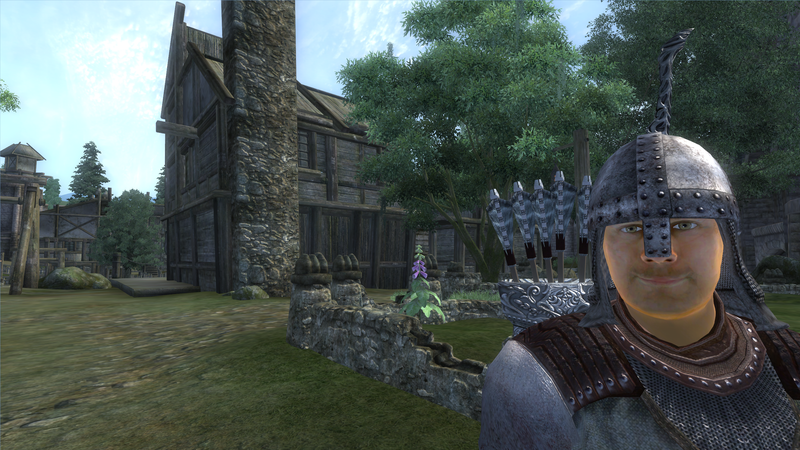 makes a fine Azura, but the whole “American Mom” vibe really wasn’t the right fit for female Orcs and Nords. Even Sean Bean sounds like he used several bottles of Valium to make it through the recording sessions. Craig Sechler, the voice of all the male elves, seems to be having the most fun out of everyone, and every elf in the game is pompous, flamboyant, over-the-top, and endlessly entertaining to impersonate. While some people list the voice acting as one of Oblivion’s failures, I find it lightens the game’s tone and makes it lovable. 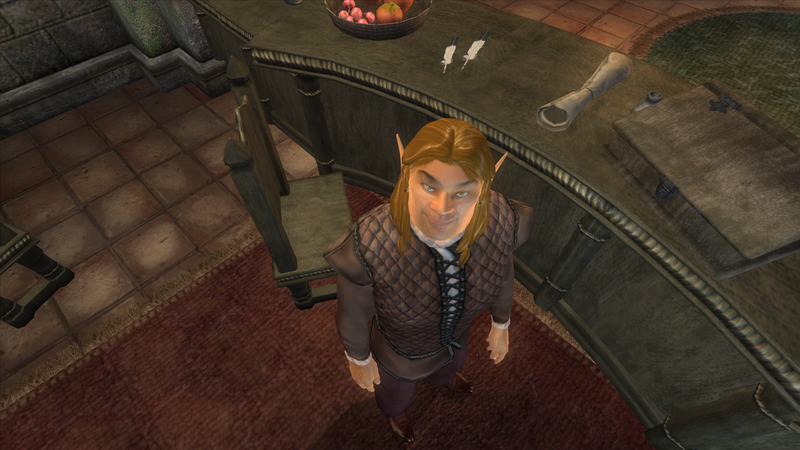 After the dour seriousness of Skyrim, Oblivion is refreshingly silly and colorful. Though I hate to admit it, Oblivion’s modern graphics and voice acting make it a much easier game to settle into than Morrowind, which always required a little extra effort. 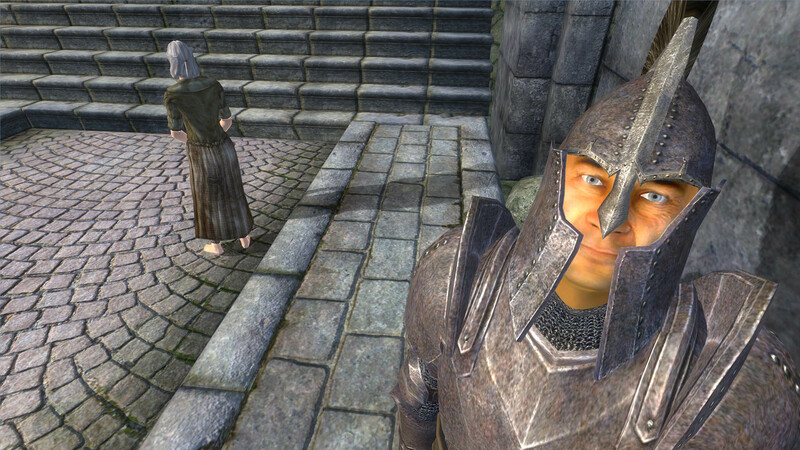 Oblivion, like Skyrim, is easy to sink a lot of time into. 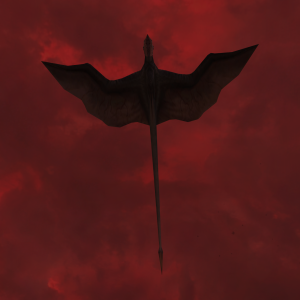 Oblivion also has many quests with an odd amount of effort put into them, with original designs, areas, and mechanics (check out A Brush with Death, Through a Nightmare Darkly, and the daedric quests). 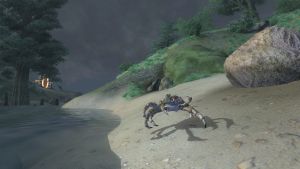 Offsetting the overall bright mood, many aspects of quests put you into morally gray areas that require effort to do the right thing and save everyone (if that’s how you play games like this), which is the kind of scenario video games make much more interesting than other forms of media. Oblivion kept attributes, but removed Morrowind’s random chance mechanics, which required redefining Agility (to attack power of ranged weapons) and Willpower (to magicka regeneration rate). Everything else kept the Morrowind definitions. Beast races have no caveats in Oblivion, unless you count having to see their faces every time you open your inventory. 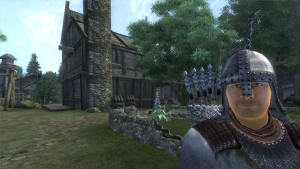 Oblivion adds magic regeneration! However, it is slower than Skyrim’s, especially with a low Willpower. It’s a good idea to stock up on magic potions, as usual. Like Morrowind, spells can be completely customized, although Oblivion adds a roadblock—you cannot cast spells that you’re not ready for. You can make an overpowered spell, but Oblivion won’t let you use it until your skill is high enough, regardless if you fortified your magic enough. In Oblivion (and only Oblivion), higher armor rating negatively affects your spells’ power. A straight mage build with robes will cast much more effective spells than a heavily armored Battlemage-type character will. The Arena in the Imperial City is basically the game’s tutorial questline, and it’ll give you a little bit of gold, reputation, and help leveling up your combat skills. Don’t take your time in Oblivion Gates for the sake of your own sanity. The loot is negligible, and it takes too long to clear every enemy. 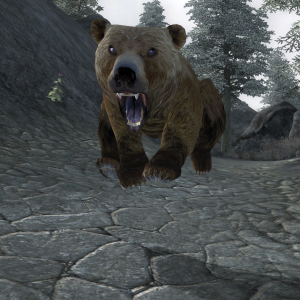 Running through the Gates with twenty daedra at your tail is faster and simply more fun. If you’re coming off these many tips more scared of Morrowind and Oblivion than you started, I can understand. I’ve taken the role of overbearingly enthusiastic friend who really wants everyone’s playthrough to go go smooth, and that comes with the inevitable fear of why so much advice was necessary. In all honesty, it isn’t (it wasn’t in 2002 and 2006, and look how nuts their fans still are). You don’t have to memorize any of this to have a fun time. Think about the Elder Scrolls Philosophy here—you’re not going to do everything in one file anyway, and you’ve got more leeway with saves than a Super Nintendo emulator! Throw that Skyrim in the trash and enjoy Tamriel’s best provinces, Cyrodiil and Morrowind.